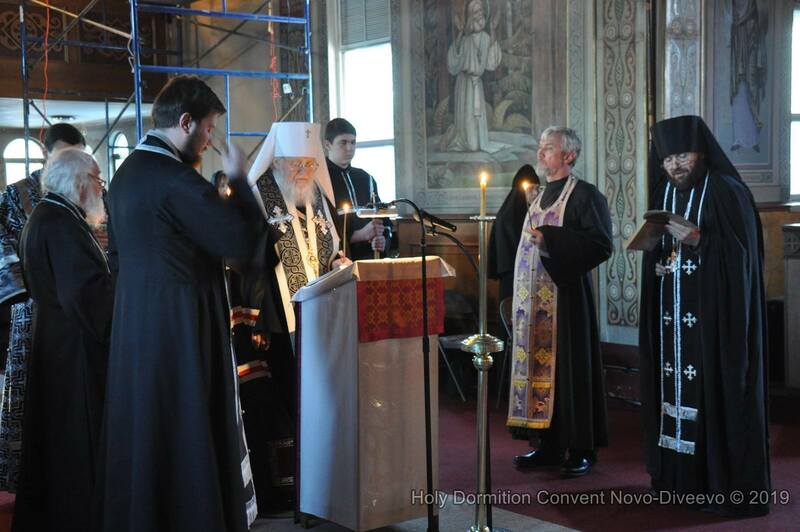 On Tuesday of the first week of Great Lent, March 12, Metropolitan Hilarion of Eastern American & New York paid an archpastoral visit to Holy Dormition Convent "Novo-Diveevo" in Nanuet, NY. 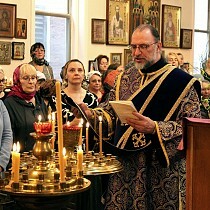 The First Hierarch of the Russian Church Abroad led the reading of the Great Penitential Canon of St. Andrew of Crete, co-served by convent clergy: Archpriest Alexander Fedorowski, Archpriest Yaroslav Belikow, Abbot Photius (Oulanov), and Priest Artem Siss. 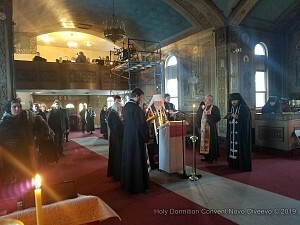 Following the completion of Grand Compline, Metropolitan Hilarion tonsured novices Eudocia and Vera to the rassaphore. The tonsure includes special prayers and the cruciform cutting of the hair, and the former novices are vested in new monastic cassocks and cowls. 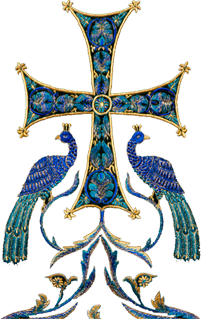 In the prayers of the tonsure, thanks is offered to God for "ridding the bustle of worldly life" of the newly tonsured sisters, with petitions to allow them to "live worthily in this angelic life" and confer "the power and grace of [His] Divinity into the spirit, soul, and body" of the new nuns, who "accepted the beginning of the holy image."